Please Help! 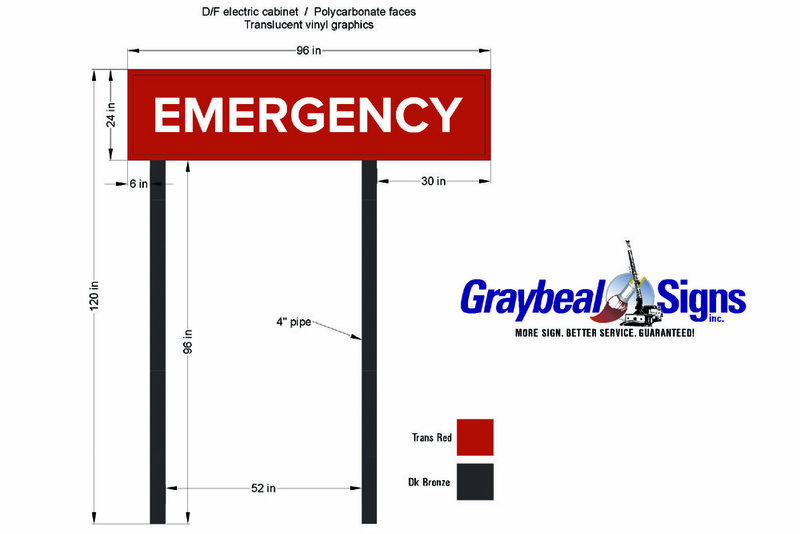 We are raising money for a New Lighted Emergency Room Sign for Three Rivers Hospital. 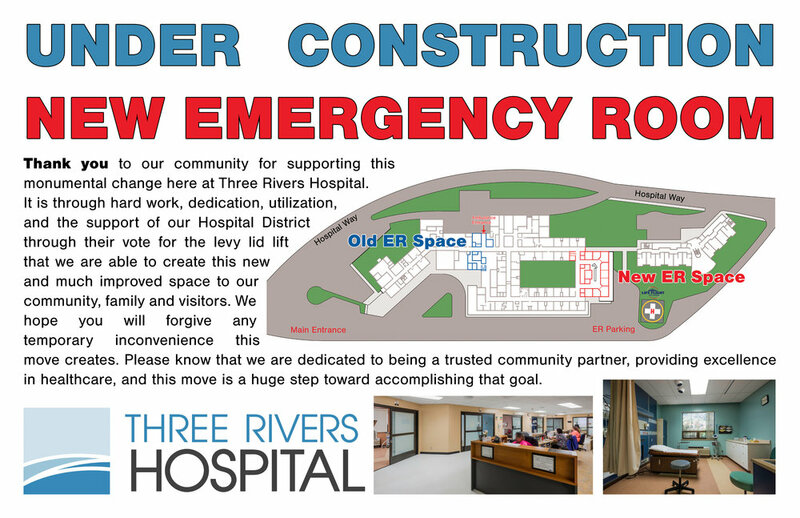 As you may know Three Rivers Hospital is in the process of moving our community emergency room to a new updated location and we want to help them by funding a new lighted sign to help everyone quickly locate the new facility. This could mean the difference between life and death for someone. Three Rivers Hospital Foundation would like your help to fund this important project. The new emergency room is scheduled to be open to the public the first week of January, 2019 so time is of the essence! Slated to begin receiving patients the first week of January 2019, the new ER space is a massively updated facility compared to the current ER. Once an intensive care unit and the offices of Three Rivers Family Medicine the new emergency room will provide a better experience for patients and visitors. With the ER moving it will be imperative that our community and visitors know where to go to get help in an emergency. This sign could literally mean life or death to someone who chose the wrong entrance to use. Some times every second counts. Three Rivers Hospital’s new Emergency Room sign will stand 8 feet off the ground and be clearly visible when you enter the hospital parking lot. The bright LED sign will be made by Graybeal Signs out of Wenatchee.